Hand cut London Underground Maps, pins, foam board, box frame. 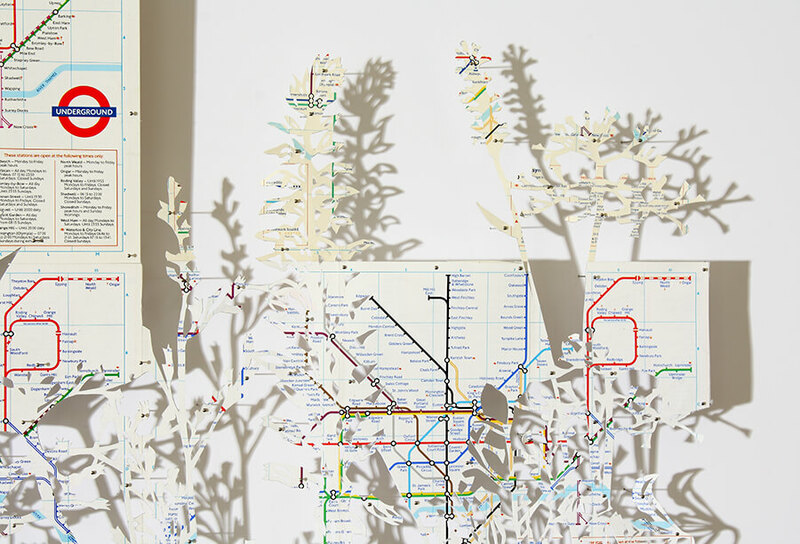 I was commissioned by the London Transport Museum to make a piece for their Mind the Map exhibition. 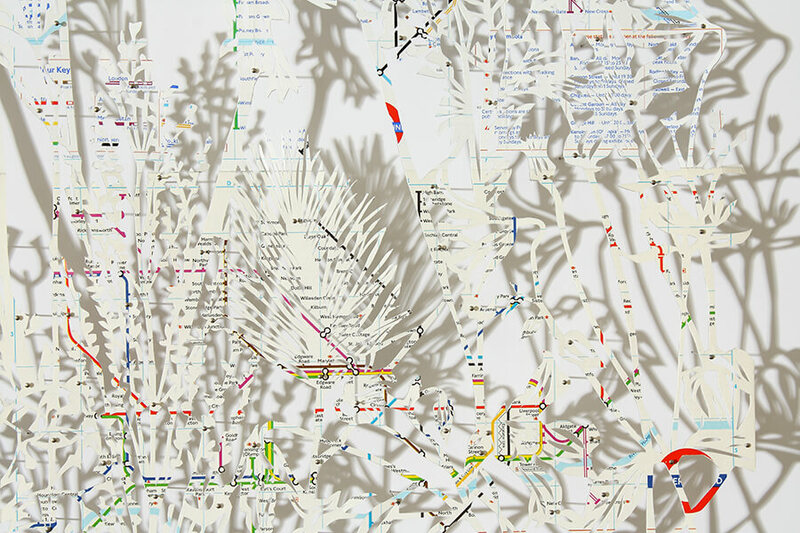 The exhibition explored the role of the underground map in London. 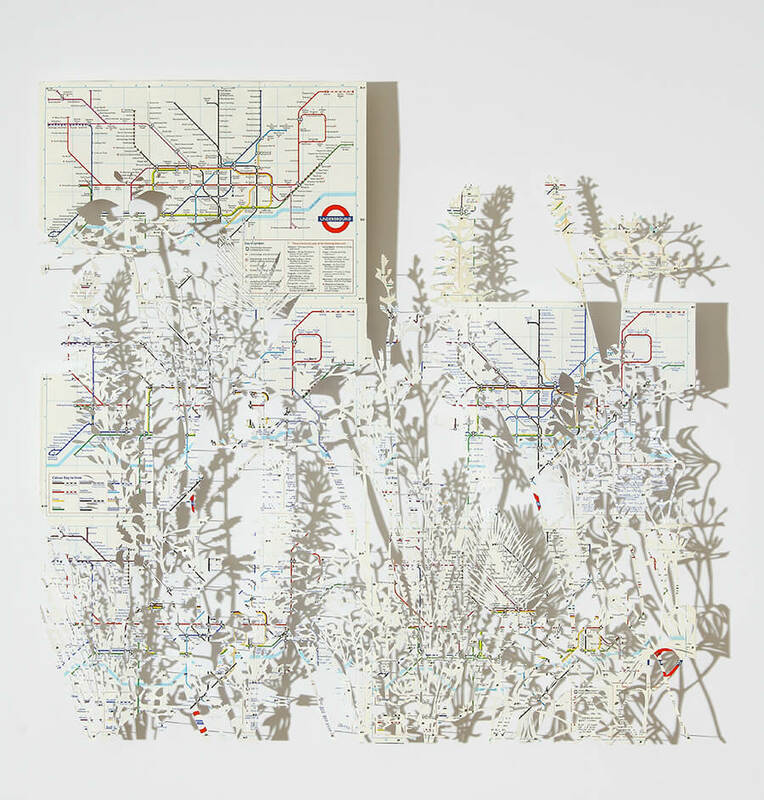 The piece was bought by the London Transport Museum to be part of their collection.